I’ve talked about wide-leg pants several times before. They are super comfortable, stylish, and easy to wear everyday. I adore these high-waist pants – a great basic pair to wear with a button blouse or knit tops. 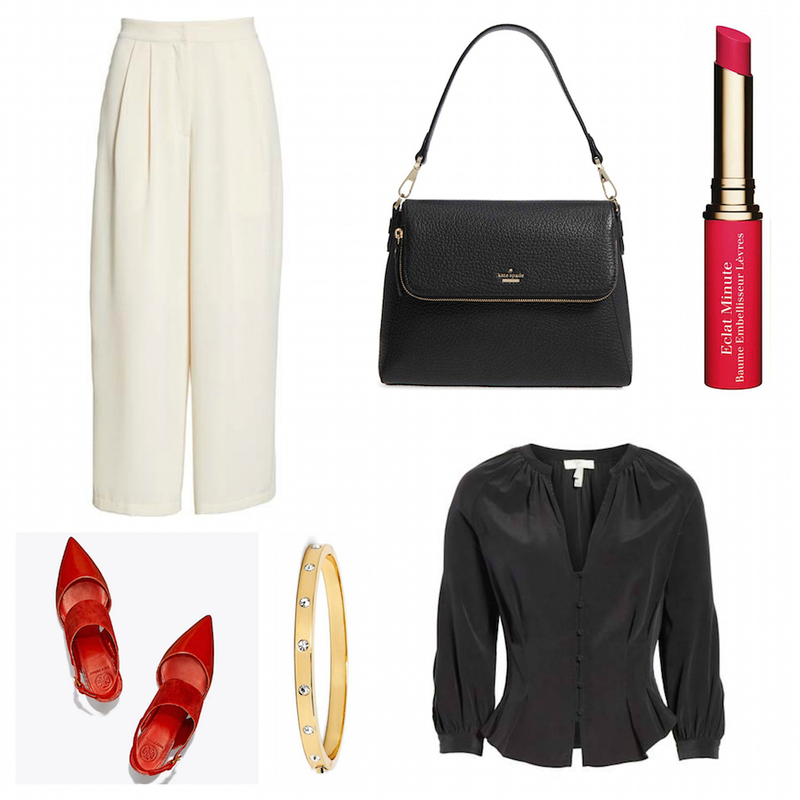 I’m drawn to red accessories this spring which is an easy way to liven up your neutral work outfits.